"You take the cable car to the monastery and this gives you fabulous views of the countryside around Dalat. The monastery despite all its visitors was a haven of peace with beautiful buildings and gardens. The continual tinkering of wind chimes and the smell of josh sticks all add to the peaceful atmosphere. It is an active monastery so its important to respect local traditions. We also found the monks to be friendly, but you should always ask their permission if you want to take their photo." DALAT - is located in the Highlands of Lang Biang, which is part of the Central Highlands of Vietnam. Because of its history, distinctive architecture, unique climate Dalat has a wide array of beautiful places. Therefore Dalat is known as one of the most popular tourist destinations in Vietnam. Dalat looks like a cross between Vietnam and the French Alps. Many of the hotels and houses were built in a French style during the French colonization. They built also beautiful villas to escape at weekends and in the summer the heat of Saigon. 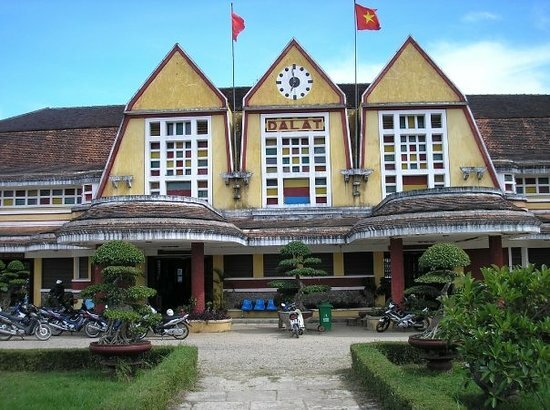 There are also many other buildings for visitors who are interested in architecture, such as Dalat Railway Station, designed by French architects. 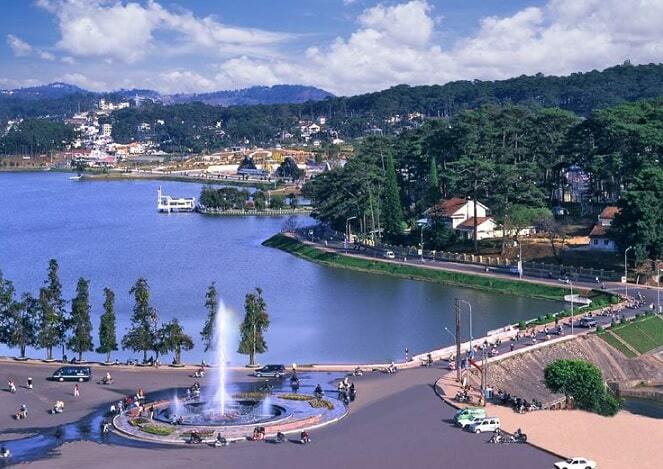 Apart from the architectural landmarks, Dalat also has many other attractions, including the Xuan Huong lake in the center of the city. This lake was created by the French, when she Cam Ly River dammed in 1919. It is also nice to visit the Lake of Sorrow, the Valley of Love, Lang Biang Mountain, Prenn Waterfall and Pongour Waterfall. Because of the favourable weather conditions Dalat is a supplier of lots of vegetables, for example, various types of cabbage. It also has the nickname 'City of Flowers'. The floriculture industry here is highly developed and famous for two typical flowers: hydrangea and straw flowers .. 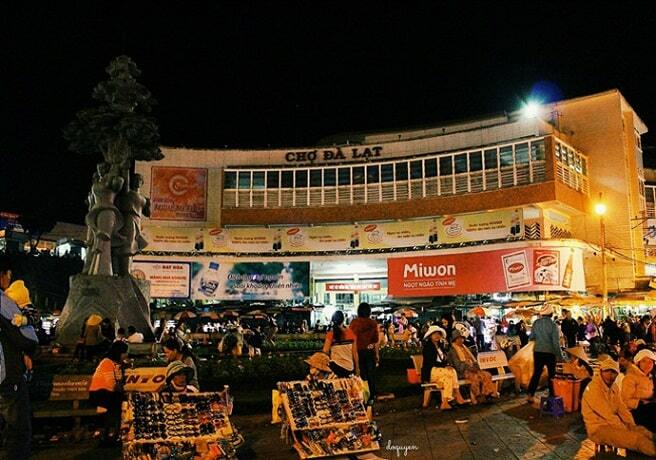 Tourists, who come in Dalat, enjoy the atmosphere and products by visiting Dalat market. The market has two floors. It has many local specialties such as strawberry jam, bananas, dried fruits, avocados, artichokes. The climate of Dalat is often called "eternal spring" because of the pleasant, warm temperatures during the day and cooling at night, sometimes up to 10 degrees. Dalat is located at approximately 1475 meters in the highlands of Vietnam. The city was formerly a French mountain village and still has its own miniature Eiffel Tower. The city's old colonial atmosphere and is therefore breathes a popular romantic destination. Unlike other areas in Vietnam in Dalat's climate is not tropical. There is a distinct rainy season and dry season, Dalat but misses the high temperatures which you find elsewhere in Vietnam. The high humidity and relatively low temperatures, there is always a lot of fog in Dalat. The daytime temperature is reasonably constant throughout the year and is thus between 18 and 25 degrees. Most tourists come by bus from Nha Trang to Dalat. The journey currently takes three to four hours. Of course there is a stop. It is advisable to book a bus without TV. The noise, which produces about television is hard. You don't have to close your eyes for a nap, because the landscape is very beautiful. From Ho Chi Minh City, the bus ride lasts about 7 hours. Depending on where you're staying, you can do almost everything by foot. Naturally there drive local buses and there is even a bus service that runs along the main attractions. There are plentiful taxis and they are not expensive. But please mind the taxi meter, because wherever you are, you remain a rich tourist. There are also plenty of opportunities to rent a bike, tandem or motorcycle. Think carefully before you rent a motorbike, as according to Vietnamese law, you must be in possession of a valid Vietnamese driving license. If you don't, then you have no insurance and you are guilty at every accident. Then they assume that you must indemnify the other party, because you have more money. Don't ruin your vacation. There are three palaces in Dalat, including those of the last emperor of Vietnam, Bao Dai. 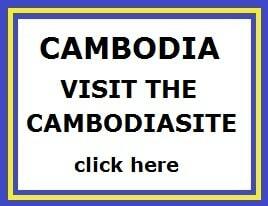 This is the best preserved palace and within walking distance. The palace is in a nice quiet spot and is built in Art Deco style. You see eg the chamber of Bao Dai and his family, which is fairly well preserved. You can stroll through the beautiful garden. There is a steam train on a historic path to Trai Mat. The route is seven kilometers long. In Trai Mat, you can visit a pagoda. The ride is made in restored carriages. 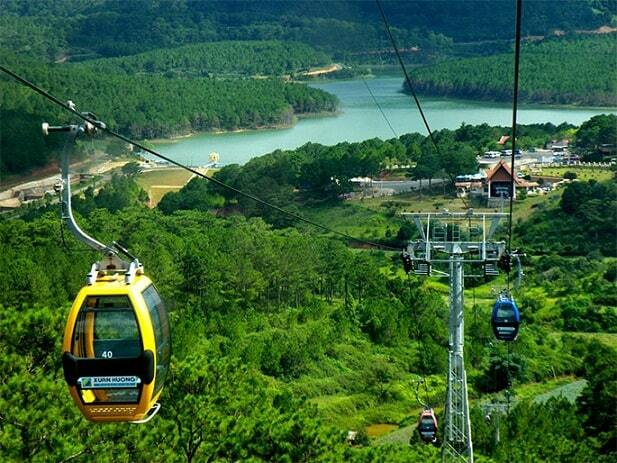 The cable car to and from Truc Lam Monastery Complex is a popular way to see Dalat from above. The ride is two and a half kilometers long and you can enjoy the beautiful views, such as hills covered with pine trees, rivers, rice fields and the sea. Truc Lam Monastery Complex is fairly new and already famous for its beautiful pagoda. Avoid public holidays, school holidays and weekends if you want to avoid the crowds. Truc Lam is a lovely place for a picnic. The Prenn Waterfall is not just a beautiful place to visit in Dalat. It offers many interesting activities such as riding on an elephant or ostrich. A friendly elephant guides you through untouched nature, such as along small creeks, lakes and green forests. For those who really want to try something different, here's your chance. Ostriches is not a normal option as means of transport, but here in Dalat you can drive on an ostrich. The idea of climbing on the back of an ostrich can be challenging, but once you manage to get up, the ride starts. It's an interesting experience! These well-trained animals are accustomed to people and incredibly friendly. Langbiang Mountain has a peak of 1900 meters. This mountain you can climb. The trip goes over a steep paved road. This seems easy, but the walk takes three hours anyway. You can also hire a Jeep (price 40,000 dong). At the foot of the mountain you can also visit an ethnic village.